We are proud to offer fine ales from the local Palmers Brewery in addition to other quality brands and an extensive wine selection. 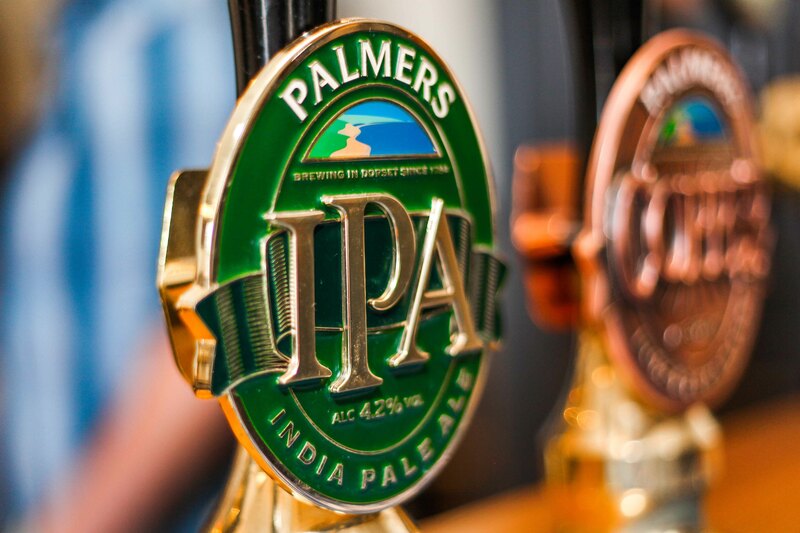 Palmers have been brewing ales in Bridport, West Dorset using traditional methods since 1794. We use local ingredients to make our menu inviting to those from near or far. Home-cooked dishes and fresh seafood dishes are our specialty. 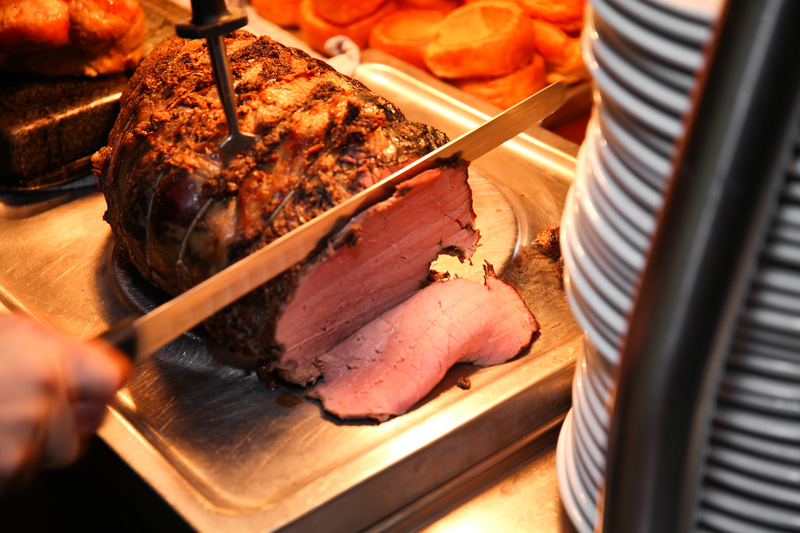 Bring the family or friends to our fabulous Sunday Carvery. We offer a selection of vegetarian, vegan and GF choices and the kids get a menu all to themselves! We have a variety of extremely comfortable en-suite guest rooms. 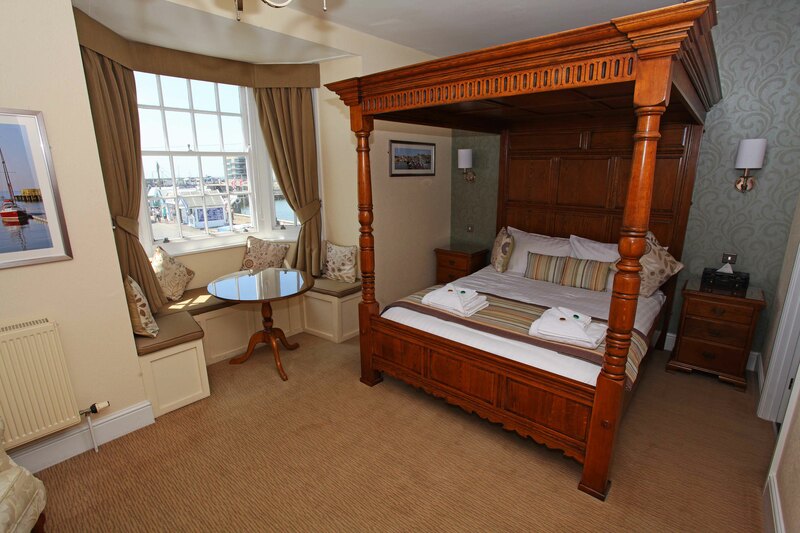 Experience our luxurious signature solid oak "Four Poster" room. We also have superior doubles, twins and the "Jack & Jill" family room. We can accommodate guests and families on holiday or visiting on business. Book online or call 01308 423191 if you have any questions. A Traditional Pub with a warm welcome. 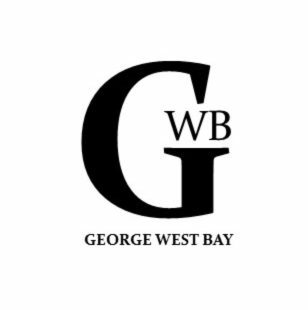 The George offers visitors and locals alike the same warm welcome to the beautiful West Bay Harbour. Located at the centre of the bustling harbour and within a stone's throw of the now iconic East Cliff of West Bay - home of ITV's Broadchurch series. 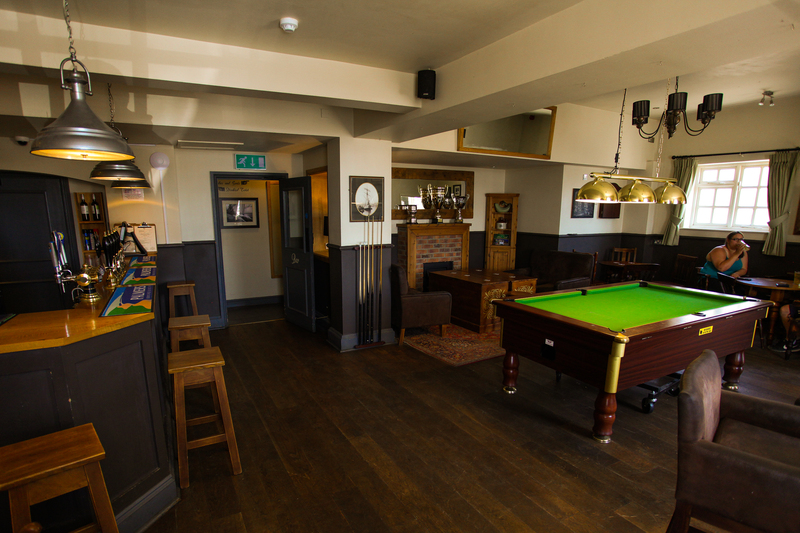 We offer great ales, wines, spirits and refreshements for all in our 2 bars or outside in the extensive garden terrace. If you fancy a bite to eat - we have a 50 cover restaurant with a menu that is should satisfy most tastes and offers a distinctly local and home-made selection of dishes. Our staff pride themselves in the friendly greeting you receive in The George and we look forwards to seeing you very soon. Dogs are very welcome in both of our bars.